GLENDA BURGESS is a winner of the Rupert Hughes Award for Fiction and a New Century Writer Short Story Award finalist. 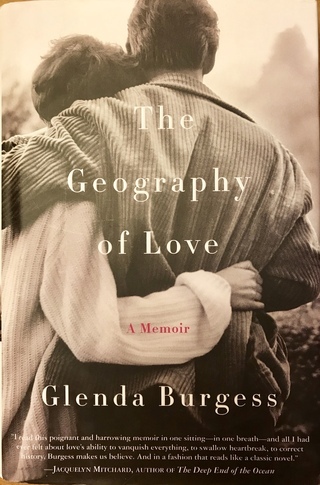 Her literary memoir, THE GEOGRAPHY OF LOVE, was celebrated as one of the Ten Best Books of 2008 by the Seattle Post-Intelligencer, a finalist for the Books for a Better Life Award, and chosen as a Target Breakout Book "Top 25" nationwide. A lifelong traveler, Glenda resides in the Pacific Northwest. Bookish.Com "Must Read Memoirs About Love"
The Stone girls, queens of country music, almost have it all until a mysterious death and a stalker from the past pit sister against sister in a desperate fight to stay true to each other and the music they love. Some extraordinary authors, writers who inspire me, read my new novel in galley. I look forward to sharing their comments with joy and gratitude when the galley reviews are all in and the back cover design with their endorsements is complete. Watch for more updates in the coming months and for PREORDER availability on your favorite online retail booksites and local bookstores! A New York sculptor and an Italian chef from an Argentine wine family unknot the secrets entangling them in a theft involving rare vintage wine and the rightful ownership of the family's vineyard. September 2020, Black Opal Books.